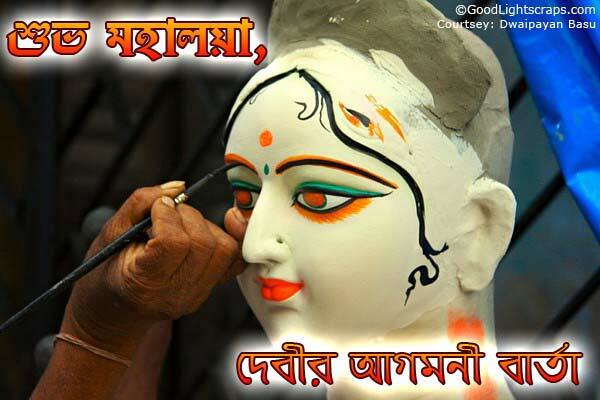 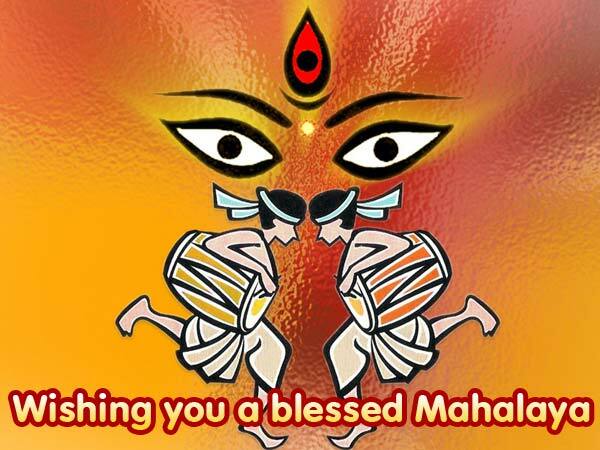 Here is Mahalaya 2017, an auspicious Indian occasion observed seven days before the Durga Puja, and heralds the advent of Durga, the goddess of supreme power. 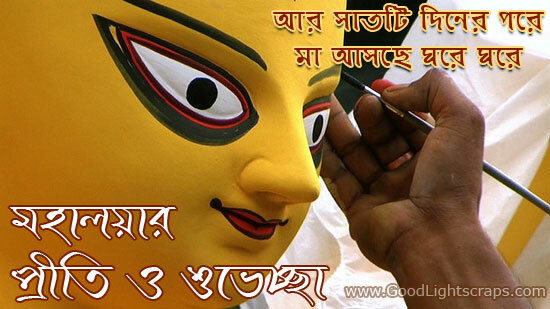 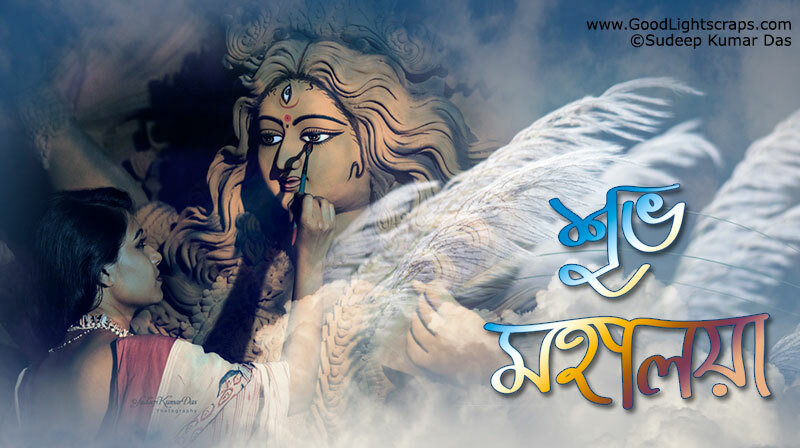 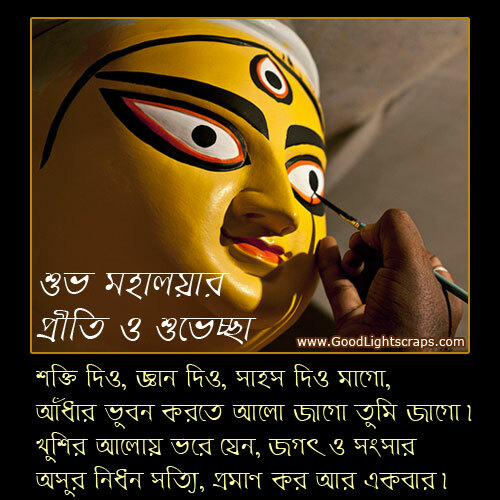 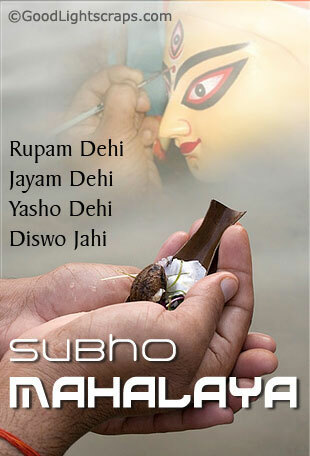 The dark fortnight of Aswayuja is known as the Mahalaya Paksha or the fortnight specially sacred for offering oblations to the departed ancestors. 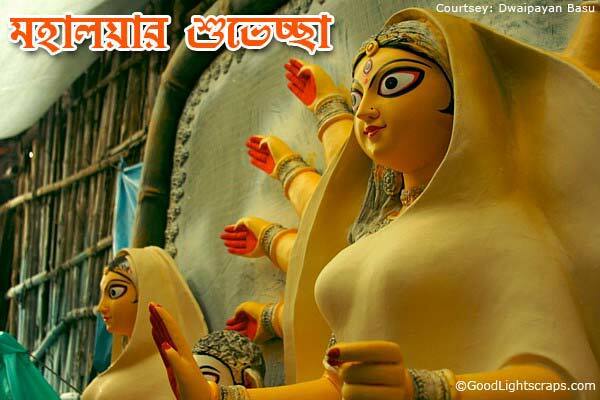 Durga - goddess of deliverance - comes to earth on the seventh day after the autumn new moon. 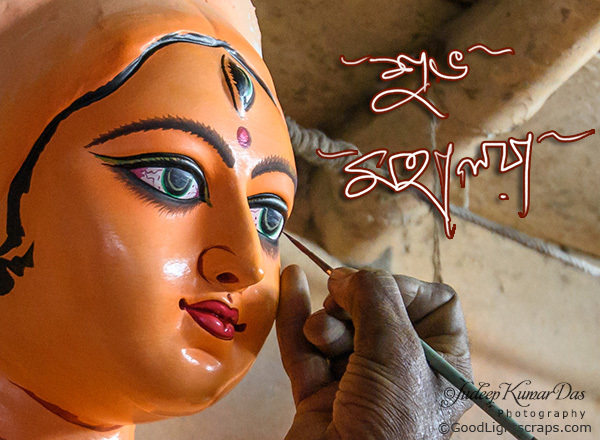 She is depicted by the 'kumors' or potters as a resplendent golden figure standing on a lion's back, each of her ten arms bearing a particular weapon, as she triumphs over the demon Mahisasura.